I was making the point last week that different cultures have different ways of understanding that something comes from God. For the Greek culture which the apostle Paul was ministering to a lot of the time, they really valued an emphasis on a philosophical approach with a logical, reasoned argument. For the Jewish people both in the Old Testament times, and in the time of Jesus, they really looked for signs and wonders. When Jesus performs miracles, such as spectacular healings or showmanship like the feeding of the five thousand, these are examples of ‘signs’. The point is that, to a greater extent, the most effective way to get a message across to your intended audience is by being aware of the cultural context and adapting your style somewhat to fit to it. 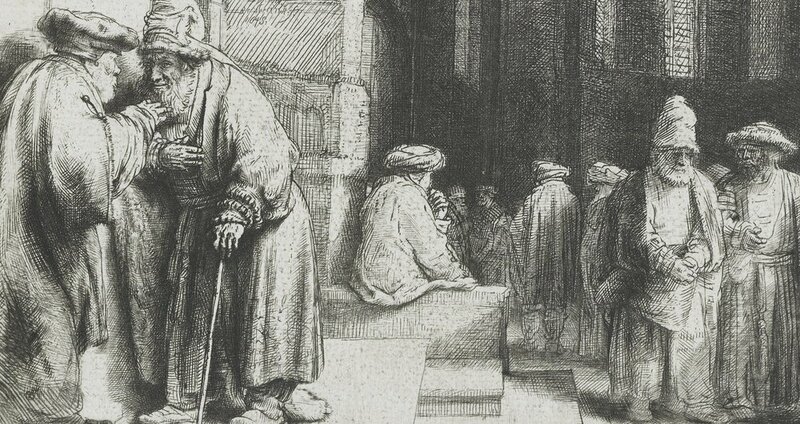 In today’s gospel, which we have just heard, a Pharisee by the name of Nicodemus seeks out Jesus. He has seen Jesus performing some of his signs and wonders and, given that he is Jewish, is persuaded by them that they are from God. So he meets with Jesus. He does so by night, though, and this is taken to mean not just that he was real busy during the day and this was the only window in his appointment calendar but meaning that he came to see Jesus under cover of darkness, since he was not only a member of the Pharisee sect, but was also a member of the Sanhedrin, which was kind of the ultimate Jewish ruling council, a bit like the United States Supreme Court. Coming to meet with Jesus was a little bit of a personal risk for someone like Nicodemus, because the information which we have from the four gospel accounts suggests that there were plenty of Pharisees who took a very dim view of Jesus’ activities. Yet the fact there were Pharisees like Nicodemus and, in the Acts of the Apostles, a Pharisee called Gamaliel, suggests that there were those who were at the very least intrigued by Jesus. 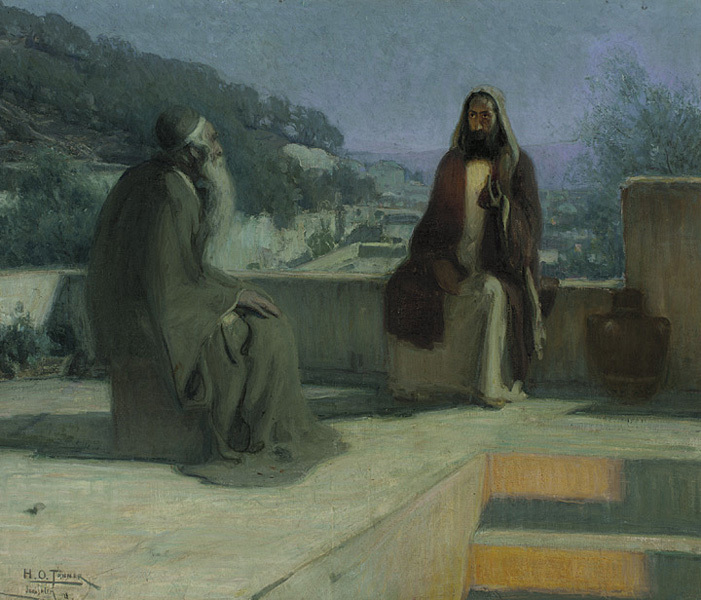 When Nicodemus arrives, he tells Jesus that the the signs and wonders he has witnessed confirm to him that Jesus is a man of God. After a bit more conversation, we get to the bit featured in today’s gospel reading. In it, Jesus tailors his language and themes in ways that will resonate with someone like Nicodemus. He specifically references what Moses did to make the point that he, Jesus, was in the mainstream of Judaism and a rabbinical teacher. Moses was – and is - a key figure for all Jews, but to the Pharisees especially so. So Jesus was building a relationship of trust with Nicodemus by emphasizing the common ground between them. Another way Jesus does this here is by talking about ‘eternal life’. To us, eternal life is part and parcel of our faith. But at the time of Jesus it was by no means a universal religious belief. There were plenty of Jews who didn’t believe in life after death. But one key group which did believe in life after death were the Pharisees. Indeed, the first three stanzas of our gospel reading are Jesus repeating and repeating that there most definitely is eternal life. In fact, when one looks closer into the world of the Pharisees and their beliefs, it seems that they were perhaps not as opposed to Jesus as the Bible might have us suppose. There are political reasons within Judaism of the first century AD that could have caused early Christians to paint Pharisees in a worse light than they deserved, but that, as they say, is another sermon. Sometimes, a word or phrase is so well-worn and part of everyday life that its true meaning can become a little obscured. To my mind, a perfect example is the phrase, ‘Survival of the fittest’. Often attributed to Charles Darwin, it was in fact coined by a British social philosopher called Herbert Spencer. People seem to react to this phrase in one of two ways. Either with a slightly weary realism that this is just the way the world is ordered and what can you do? 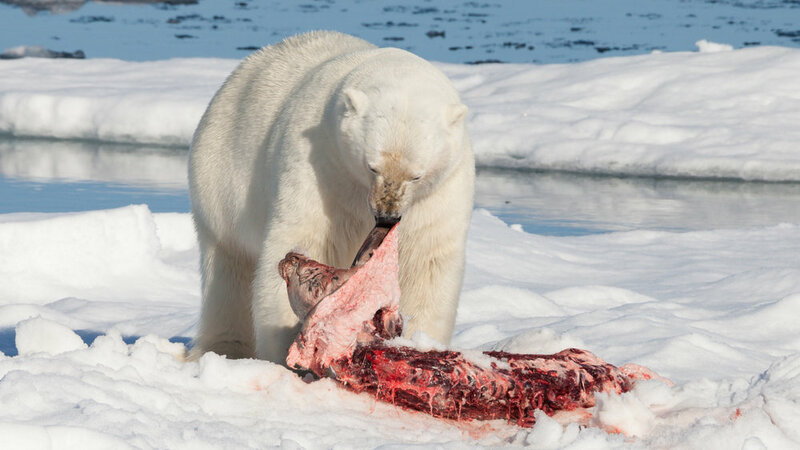 or with a certain amount of revulsion, even, that we live in a dog-eat-dog world where physical strength, stamina and raw power is what will ensure survival. A world, as Tennyson put it, that is ‘red in tooth and claw’. But the phrase, ‘Survival of the fittest’ is certainly not what Darwin would have said that natural selection is all about. We read the word ‘fittest’ through our own cultural lens and making it all about physicality and muscle. Thus, ‘Survival of the fittest’ takes on its unpleasant overtones. But ‘fittest’ doesn’t mean that here. It actually means, ‘that which is most fitting’, in other words, survival is down to being the best fit. Which is actually much more encouraging. Because what it means is that we are not at the mercy of some rampaging predator or the guy with more muscles or the prettier woman. Rather, it shifts the equation from being about something that just happens to us over which we have no say, to about it being something which is totally within our power. This is what Darwin himself said about natural selection: ‘It is not the strongest of the species that survives, nor the most intelligent, but the one most responsive to change’. Another phrase that we are so used to hearing that it has become part of folklore is this: ‘For God so loved the world that he gave his only Son, so that everyone who believes in him may not perish but may have eternal life.’ This is apparently the most-often quoted verse in the Bible. It is from our gospel reading this morning. The reference is John 3:16. Ask any evangelical Christian to quote John 3:16 and I can guarantee they will be able to. To be sure, it’s a fine Bible verse. But what interests me right now about it is that it is often said with the emphasis on the wrong word. Often it is said as, ‘For God so loved the world’. But really it should be said, ‘For God so loved the world’. ‘What difference does it make?’ you might ask. Aren’t I just being a bit pedantic? No. And this is why. Just before John 3:16 comes John 3:15. Who knew? And John 3:15 is where Jesus references the story, which we heard in our first reading today, about Moses lifting up the bronze serpent so that anyone who looked up at it and sincerely wanted God to heal them of their snake bite, would indeed be healed. And then Jesus says the famous verse, 3:16, ‘and God loved the world in the same way as Moses lifting up the bronze serpent’. In it, Jesus is prefiguring his crucifixion. The symbol of everything which terrible – the fact that human beings could nail another human being to a massive wooden post and just leave them to die an agonizing death – has been transformed into a symbol of salvation, just as the symbol of the serpent, bringing death and destruction to the Israelites, has been transformed into a symbol of healing. And, just like natural selection, it is not simply a passive process to which we are subjected. We are not just expected to accept God’s love and salvation. Rather, like natural selection, it is one which requires us to be responsive. Why? Because if God just made us accept his love and salvation, that would mean we had no alternative. And if there’s no alternative, that’s coercive love. And coercive love isn’t fully loving. But God’s love is fully loving, precisely because it is not coercive. God loves us, but he doesn’t force us to love him in return. It’s our choice. Totally our choice. If we believe that God loves and cares for us, and we choose to reciprocate that love, then God promises us that we will be with him forever, because we have decided that is what we want. But we have the choice to deny and reject his love. It’s our choice. Those who deny and reject God’s love aren’t condemned by God, but by themselves. God doesn’t force someone who doesn’t want to be with him to be with him. Something for which the late, great Dr. Billy Graham was famous was his altar calls. For us Episcopalians, it’s a bit too emotive, a bit too showy and theatrical. We prefer our responses in church to be a bit more measured and reserved. Fair enough. But what his altar calls really drove home to people was that it is not enough simply to come and hear and receive God’s word, but that we need to act on it. As I say, we do altar calls a little differently here in the Episcopal Church but we do still have one every week. It is the invitation to come to the altar to receive communion. Billy Graham emphasized that people were responding to God’s invitation by coming forward to declare that they had been born again. In fact, what we do is theologically no different. It’s just linguistically and culturally different. But coming to this altar to receive communion is a response from us that says, in response to God’s invitation, “yes, Lord, I want to accept your love and your salvation and I am coming forward to receive this bread and wine which, in some mystical way, are a signifier of your presence here among us and, yes, Lord, I am here reciprocating your love, and want to be enfolded in goodness and love for ever and eternity’.